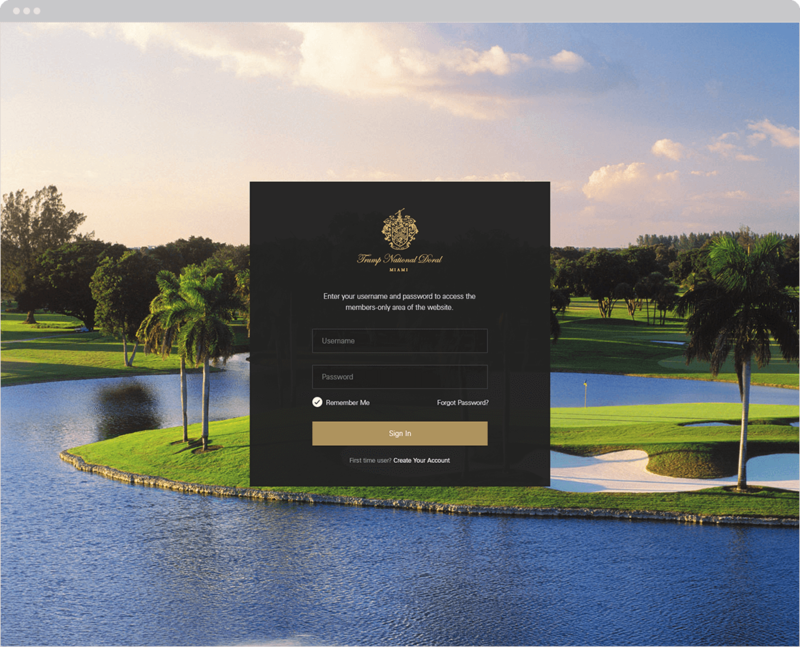 Bringing one of the top names in golf into a modern digital world. 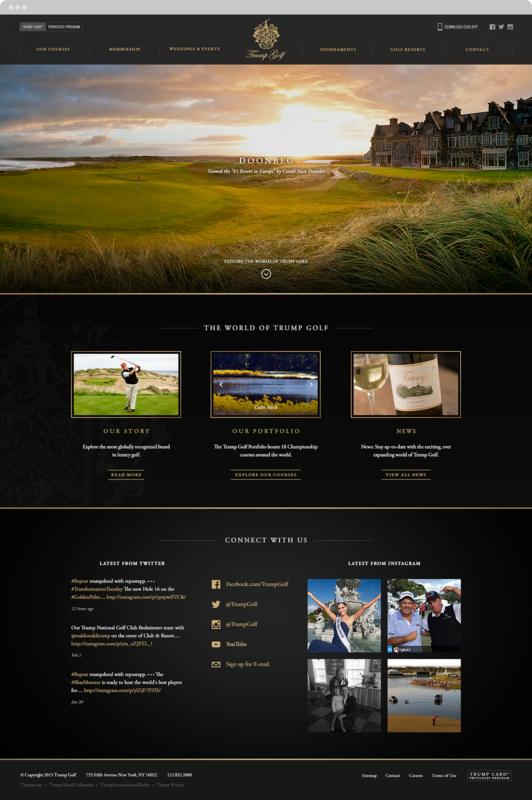 Since the initial course acquisition in 1999, Trump Golf has never truly had a defined brand presence on the web. 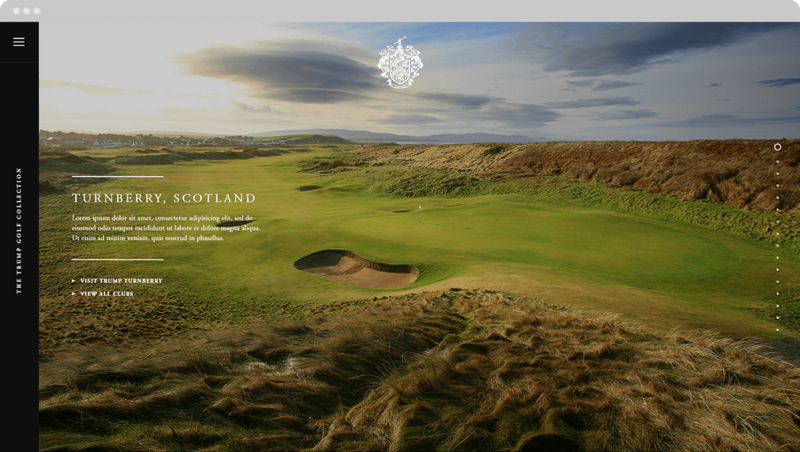 With a five year old site, and a chief executive running for President, there were more eyes on the brand than ever. 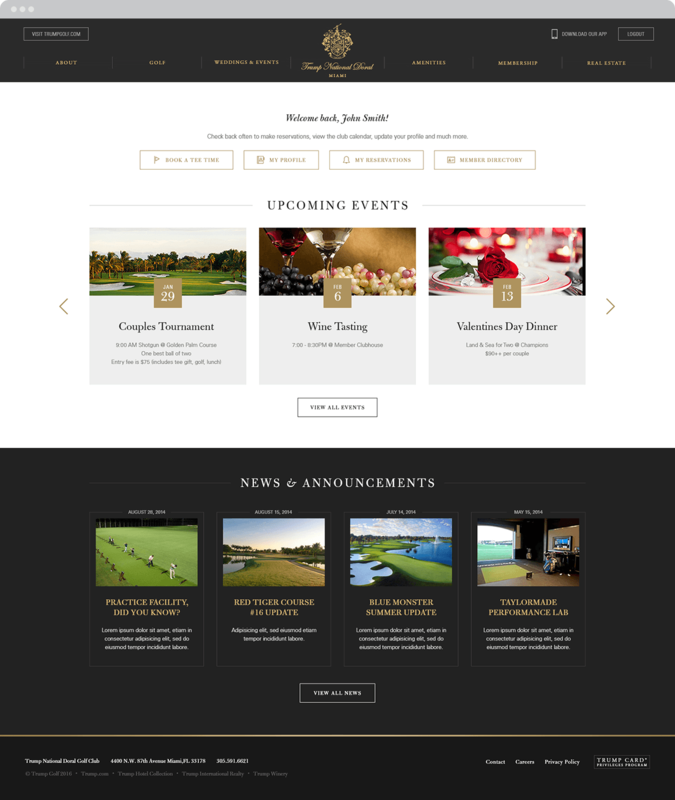 I worked with the excellent digital marketing team at The Trump Organization to redesign the flagship portal site of TrumpGolf.com as well as establish a smart design framework that all the properties would leverage. 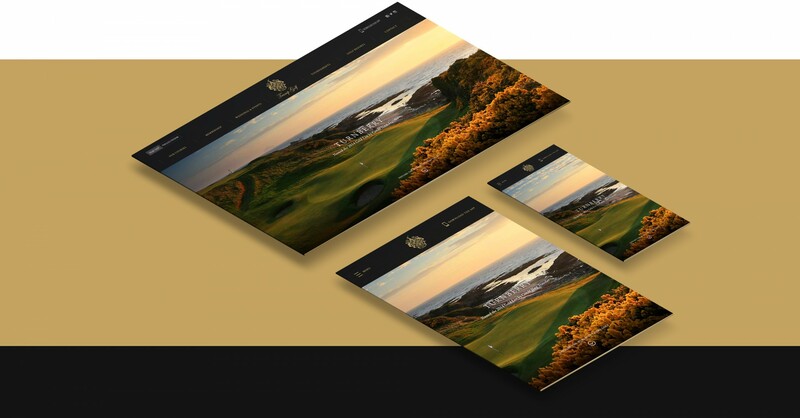 The new site tells an impactful and proper story of how the brand came to be, the diversity of their amenities, as well as shed a prominent light onto the incredible facilities used for special events at their courses across the globe. 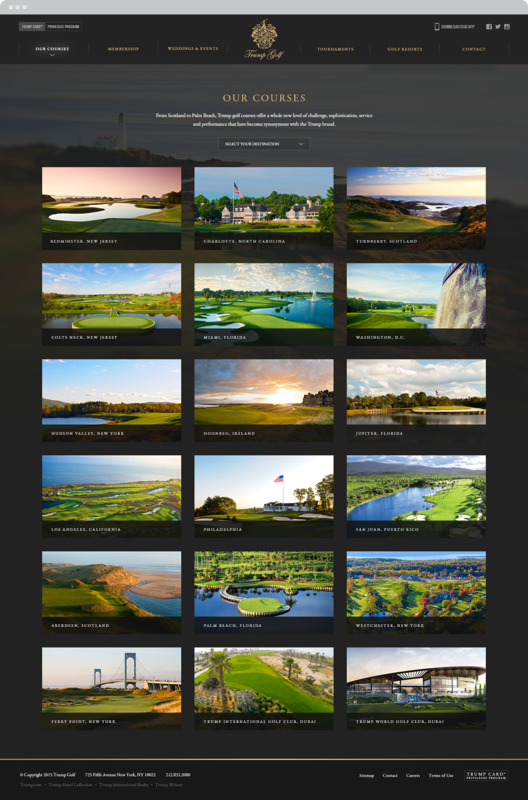 Below are a few different concepts that were explored that ultimately didn't make the cut. 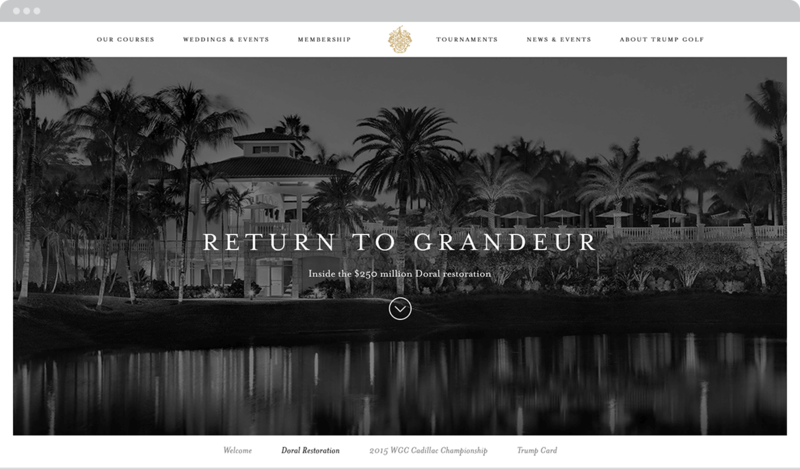 Using Trump National Doral as the flagship property, I created a responsive design framework that would be repurposed for the 16+ properties. 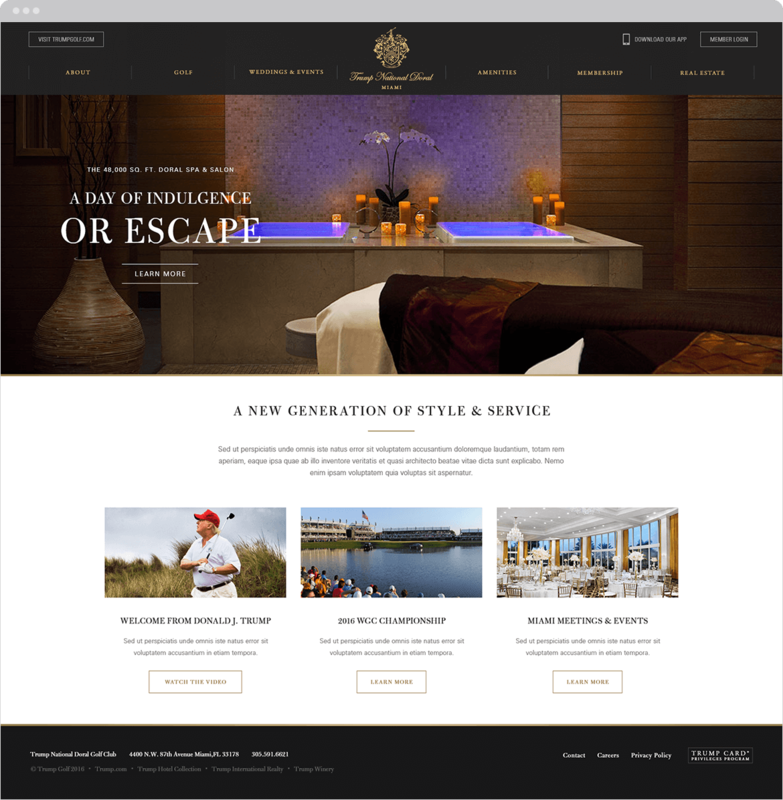 This included establishing design patterns for everything from banner crops to layout, grid & layout, typography, and back-end module styling.